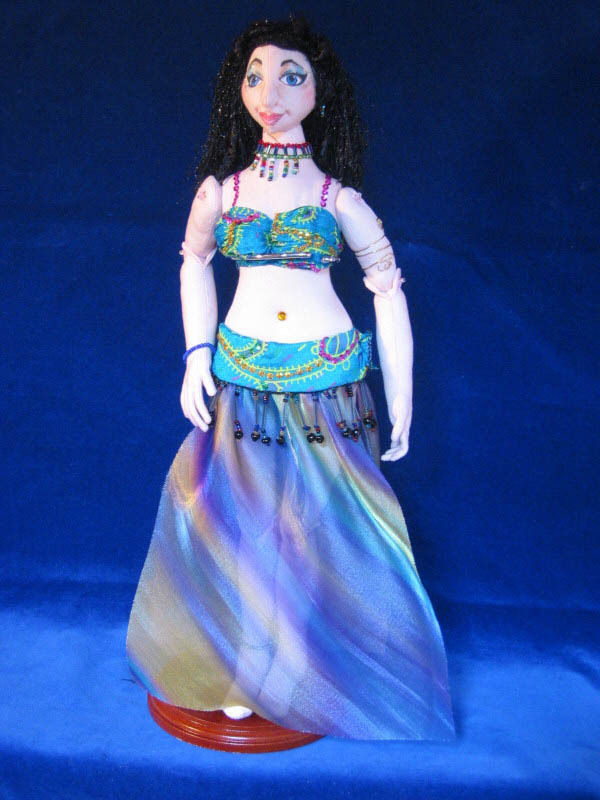 This is a belly dancer, made using my Barbara Barely pattern, which is available through me. She is button jointed. 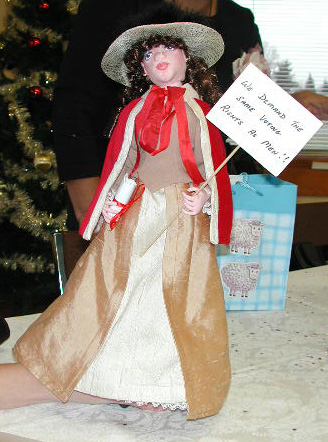 She is 12" high. This is Dusty Hill. 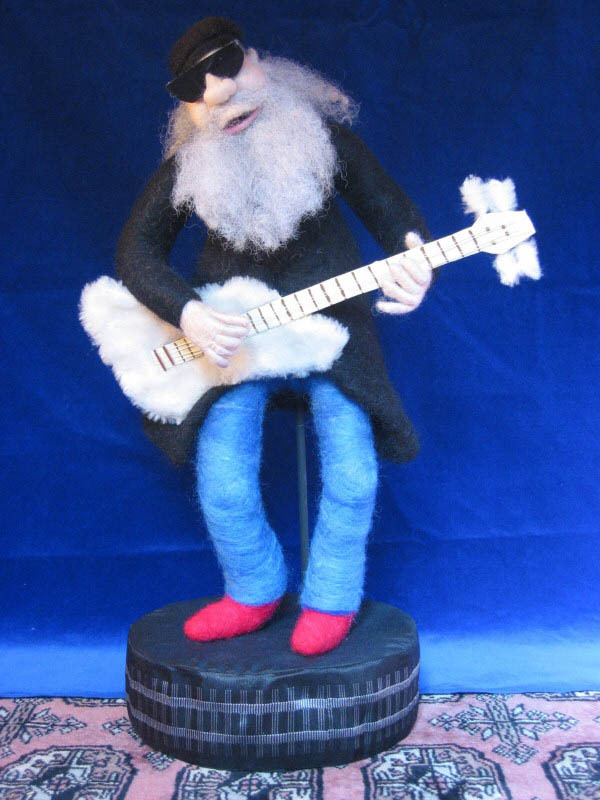 He is the base player for the band ZZ Top, my husband's favourite band. It was made as a gift for him. 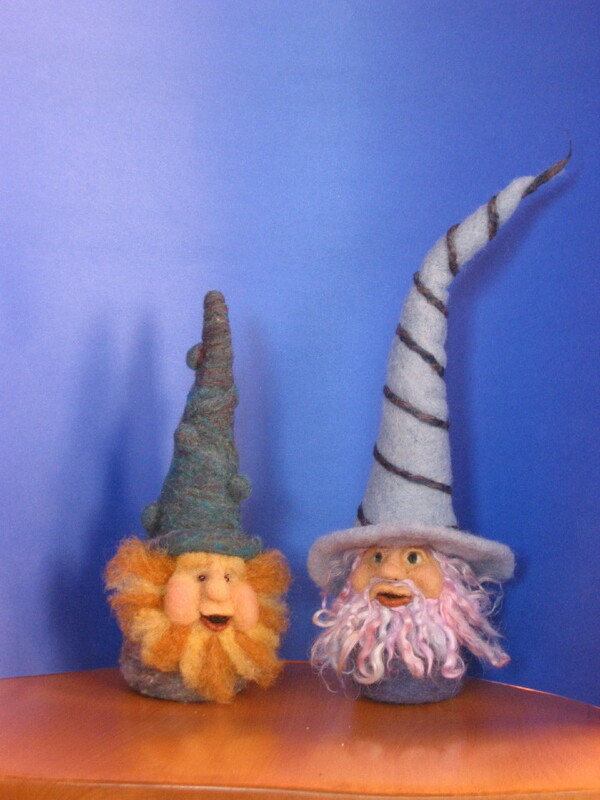 The doll was created using the dry felting method and is 100% wool fibre. 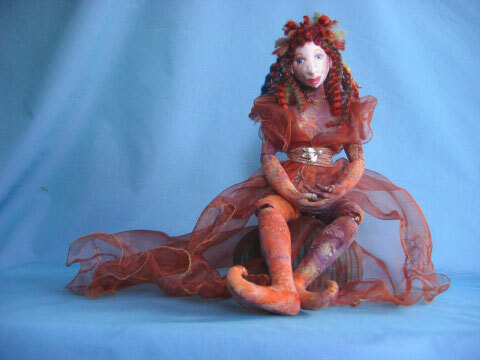 Autumn Goddess was made using my Flame and Ember pattern. Her colours are all my favourite Fall colours. The robe is embroidered organza and the edge is wired. The witch is made using my Flame and Ember pattern. She is bead jointed at the knees and elbows. 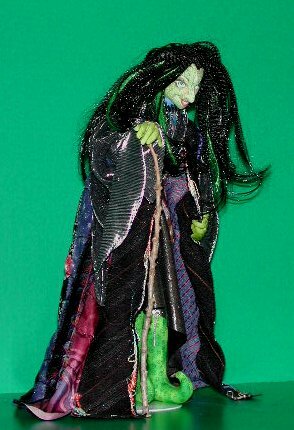 Her robe is made from neckties, with free motion embroidery embellishment. her skirt and sleeves add a silver witchy sparkle.